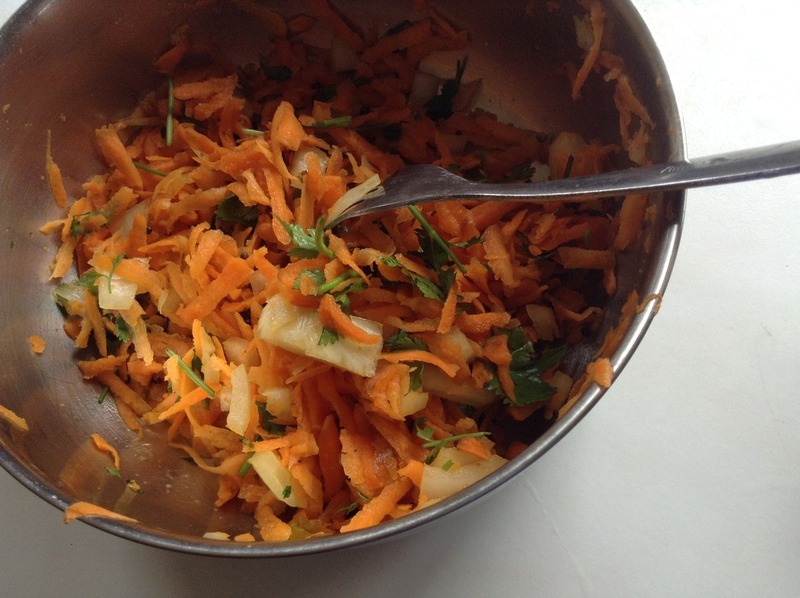 Cooking With Swapna: Carrot n Ginger Salad - Refreshing !! 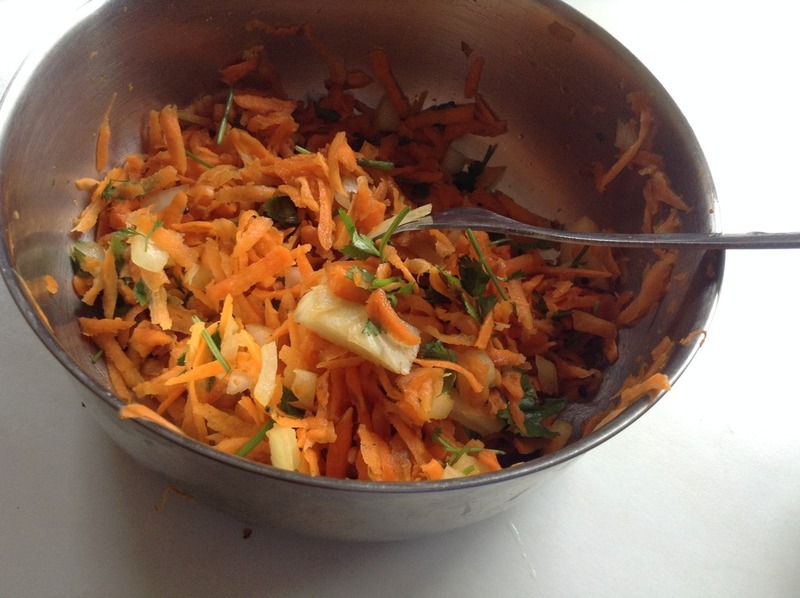 Carrot n Ginger Salad - Refreshing !! 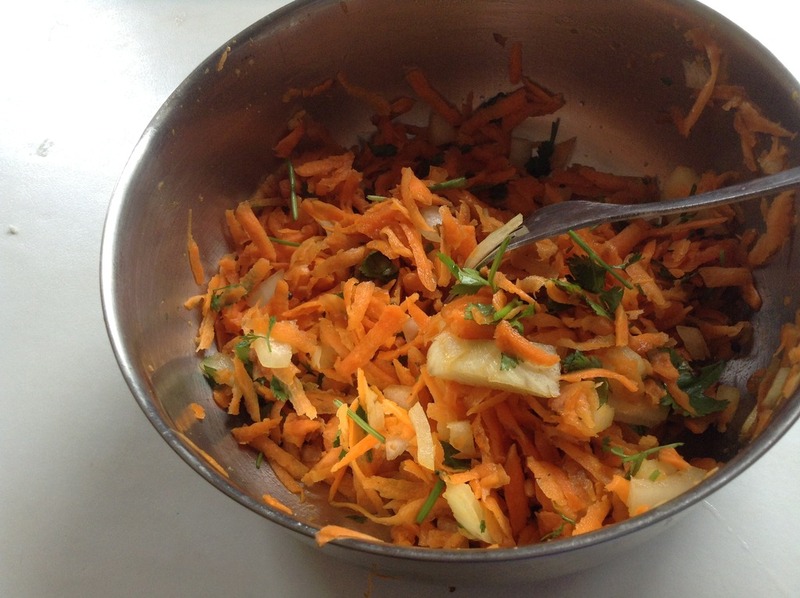 Try and enjoy this unique, refreshing and delicious salad flavoured with ginger and lime dressing. 1. Grate the ginger and extract the juice. Keep aside. 2. Heat oil in the pan, add urad dal, mustard seeds, green chillies and hing. 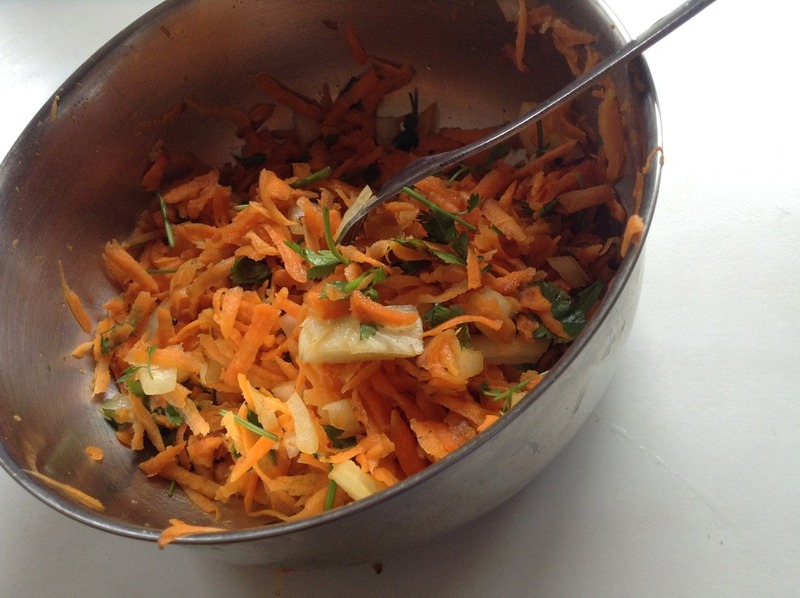 Keep the tadka aside. 3. 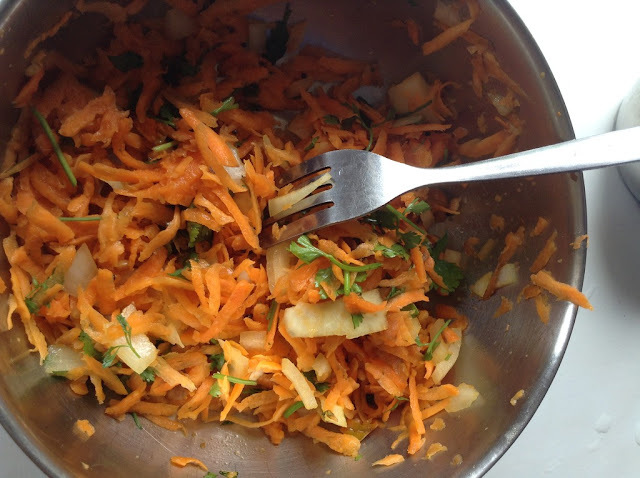 In a serving bowl, mix together grated carrots, ginger juice, onion, coriander leaves, lime juice, salt to taste and tadka. Grilled Corn on the Cob- Street Style !! Squid / Calamari Masala Fry - Kerala Style ! !